Though the snow and ice lingering on the ground tells another story, Spring is here and Easter isn't far behind. Pokémon GO is celebrating the coming of the season and the holiday with—what else?—a special Egg event. 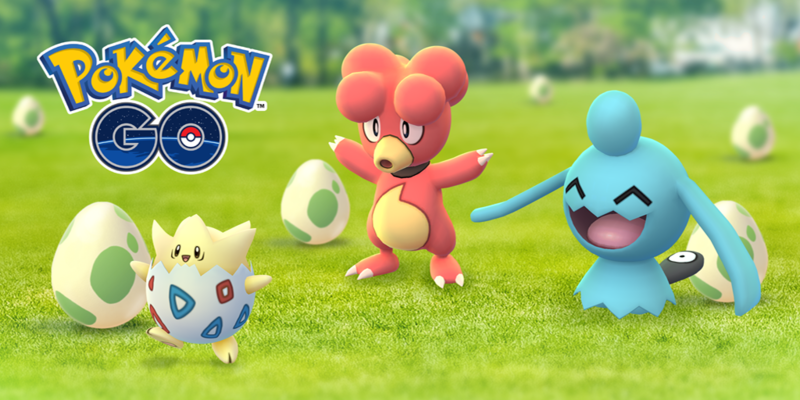 From March 22 at 1 p.m. PDT through April 2 at 1 p.m. PDT, the returning Pokémon GO Eggstravaganza gives you another chance to hatch certain Pokémon. Special 2km eggs retrieved from PokéStops during this time have a chance of hatching 5km and 10 km Pokémon like Pichu, Togepi, Wynaut, and Ralts. But wait, PokéFans! There's more! You get double Stardust during the event, and the Pokémon you hatch reward you with extra Candy. Guess I'll finally have enough candy to evolve my Ralts into Gardevoir, which I hear is considered a mortal sin in some religions. Hopefully the weather warms up so we can all get out there and start pounding pavement. We have everything you need to know about the Pokémon Eggstravaganza, as well as everything you need to know about Pokémon GO's Hoenn region Pokémon and weather conditions.